Attendees are posing for a group photo at the 1st anniversary ceremony of Industry Innovation Center on December 9, 2017. On December 9, UNIST held a grand celebration to celebrate the first anniversary of its Industry Innovation Center. The celebration started with an opening ceremony, commemorating the first anniversary of the establishment of the center and the presentation of membership certificates to its 16 newly-registered member companies. There has also been a short introduction about the current status of corporate support programs that have been carried out so far. President Mooyoung Jung of UNIST is presenting membership certificates to those newly-registered member companies at the ceremony. 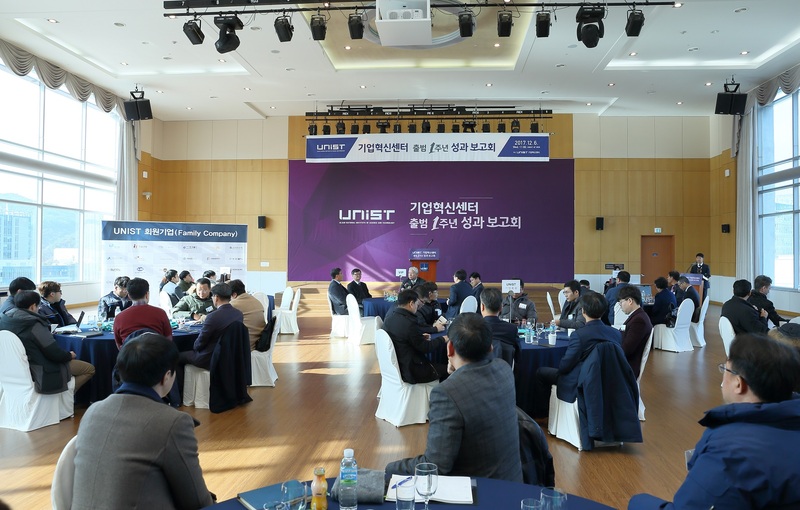 In the afternoon, UNIST also held a various sessions to introduce its promising technologies and the status of currently-operating corporate support programs: △Successful applications of innovative technologies, such as Big Data and sensor technology △Applications of 3D printing △Introduction of corporate support programs for Korea East-West Power Corporation. 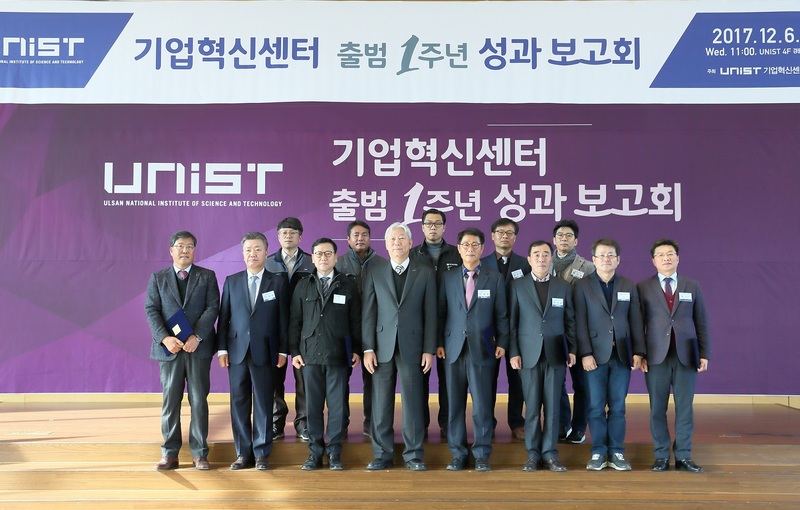 Established in December 2016, the Industry Innovation Center serves as a window for industry-academia cooperation that helps aims to connect UNIST with other enterprises. 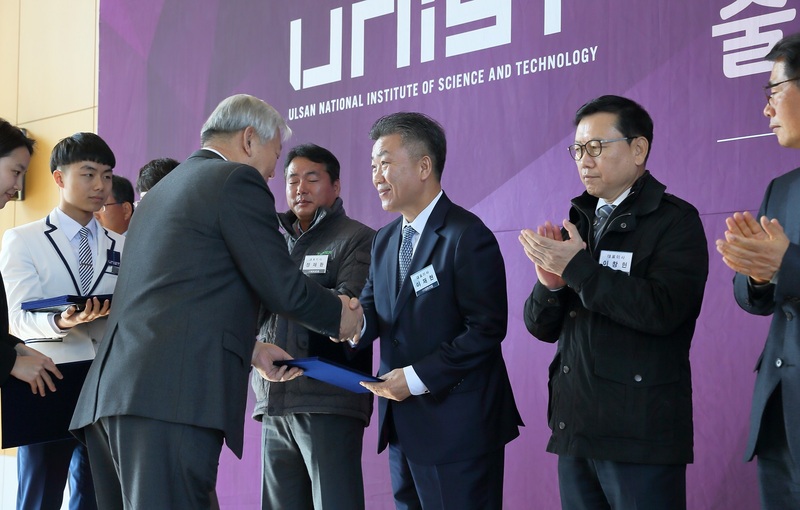 The center, with full support from the city of Ulsan, promotes the technological innovation of enterprises and supports entry into international markets. 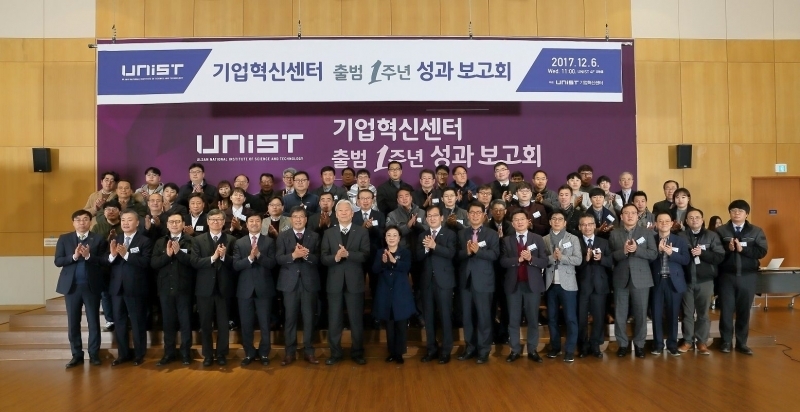 The first anniversary celebration of the Industry Innovation Center was held at UNIST on December 9, 2017. The center provides services, such as △Development of technologies in-demand △Support program for bottleneck technologies △Information service for commercializable promising technologies. There are currently 33 member companies, as of December, 2017. 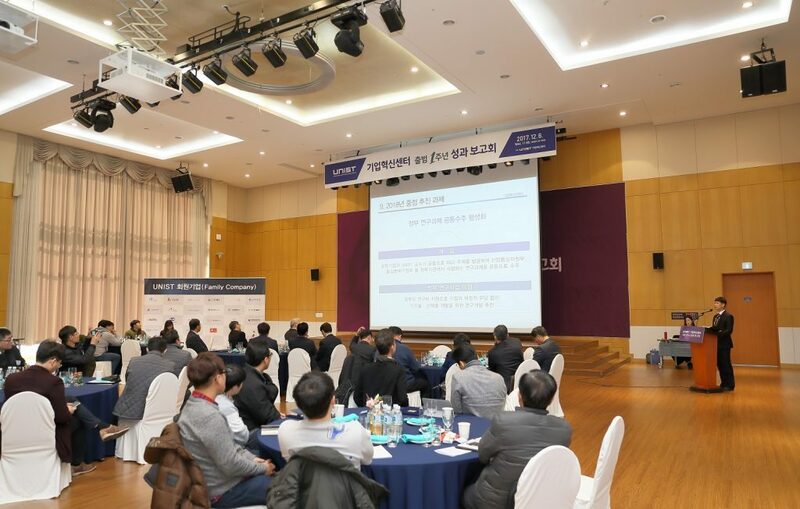 Meanwhile, about 80 guests attended the ceremony, among which Seok-Kyum Kim, Head of Industrial Promotion Department at Ulsan city hall and over 30 CEOs member companies were included.